What Is The One Movie That You Never Watch Alone? There are movies that scare us—and then there are movies that really scare us. I'm talking about the type of films that make us sleep with the lights on after we've seen them, or that prompt us to seek shelter in a hastily constructed pillow fort. And, most of all, the type of films that we never want to watch alone. 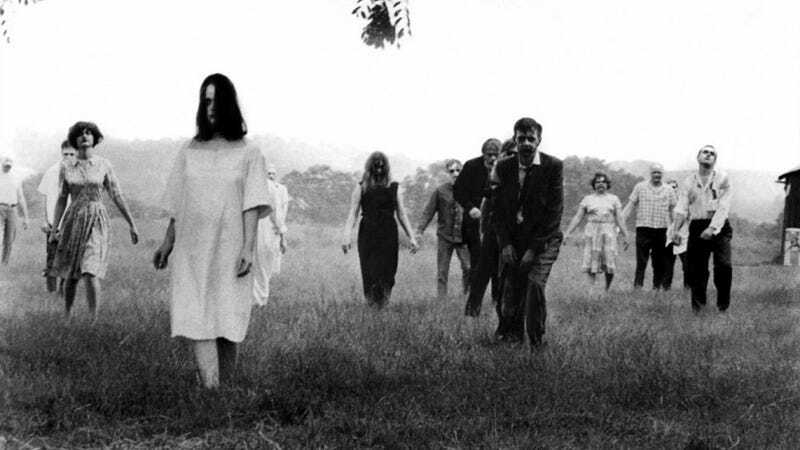 For me, that movie is Night of the Living Dead. Shot on grainy, black-and-white 35 mm film, it has a documentary-style realism that I find more believable than today's big-budget productions. Even after dozens of viewings, it still feels like a waking nightmare. What about you? What is the one movie that creeps you out so much that you won't sit through it alone? Please include pictures, video and links!